The process of making tablets and capsules has always been tedious, and although there have been great advances in processing equipment that automates the manufacturing process, one of the principal factors engineers must consider is how that equipment will affect the final end-product quality. 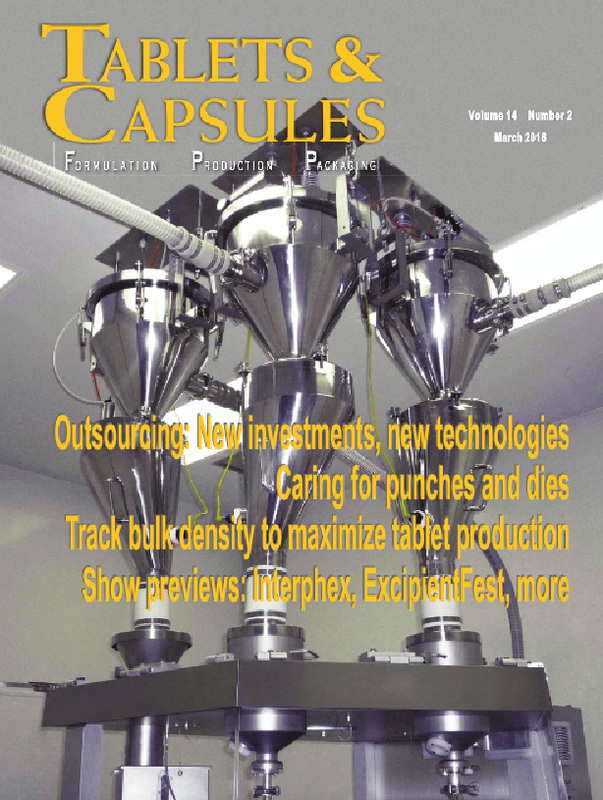 Active Pharmaceutical Ingredients (API), Bulk Pharmaceutical Ingredients (BPI), excipients, and nutraceuticals can cost hundreds of dollars per ounce, where material handling can present costly challenges in all steps of the process including loading feeders, blenders, sifters, tablet presses, capsule fillers. Whether the application requires direct loading of blenders or mixers, the gentle handling of empty or filled capsules, the dustfree transfer of ingredients to table presses, gravimetric feeder refill, or continuous pharmaceutical extrusion, sanitary pneumatic conveying systems and vacuum technology has become an indispensable tool in streamlining pharmaceutical and nutraceutical production lines. to eliminate tedious manual labor, keep work areas cleaner, and speed up operations, are the Multiple Tablet Press Loading Systems and Tablet Coating Pan Unloading and Package Filling Systems, combining modern electronic technology with innovative mechanical and pneumatic designs to produce ingredient handling systems that not only free operators of physical effort, but also perform sophisticated operations with minimal assistance. Systems can be designed to convey multiple ingredients from different pick up points into weigh hoppers and automatically batch them according to preprogrammed formulations.